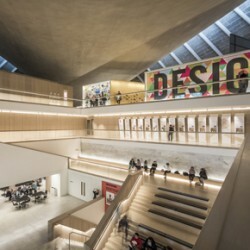 Allgood’s Modric ironmongery has been used throughout the Design Museum, which re-opened last November, following its move from Shad Thames to Kensington. 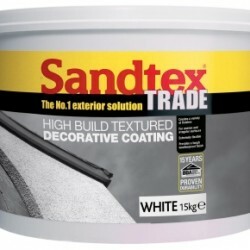 Sandtex Trade High Build Textured Decorative Coating delivers a long-term solution for the protection of buildings. 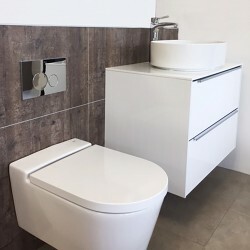 Clos-o-Mat has introduced a new range enabling elderly and disable people to have a stylish bathroom that can be easily adapted. 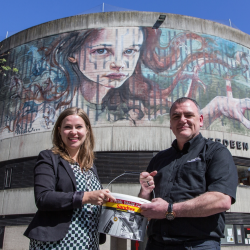 Bisley has signed up to exhibit at the Netherlands’ popular interiors show, Design District, which will take place in Rotterdam between 7th and 9th June. 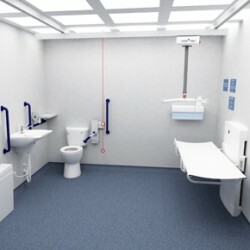 Inclusive specialist architect Vaila Morrison is encouraging her colleagues to adopt a universal approach to specifying accessible toileting. 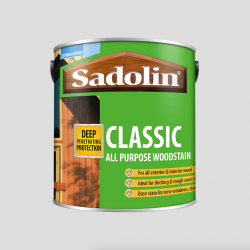 Crown Paints will be at PfH Live 2017, explaining how its staff, coatings and comprehensive service package can meet housing providers exact needs. Sydenhams, an independent builders’ merchant, has commended Fibo wall panels as a ‘first choice for customers’ over traditional tiles.